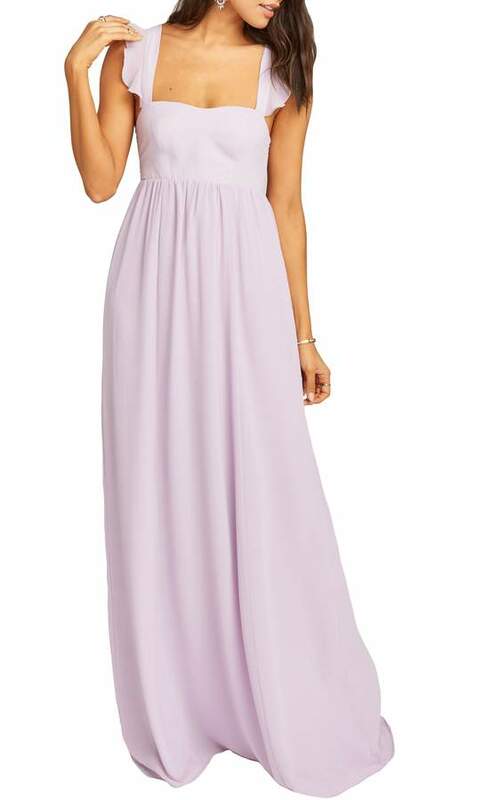 This simple and chic Empire-waist gown is an easy choice, cut with a princess-seamed, smocked-back bodice for an easy fit and topped with ruffled straps. Style Name:Show Me Your Mumu June Ruffle Strap Evening Dress. Style Number: 5801041. Available in stores.